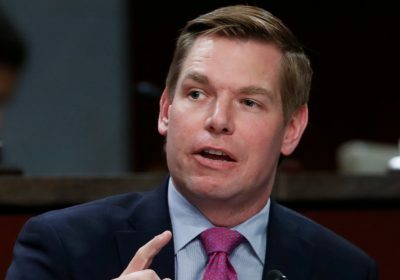 Home » Politics » Eric Swalwell is running for president in 2020. Here's everything we know about the candidate and how he stacks up against the competition. Based on a recurring series of national surveys we conduct, we can figure out who the other candidates competing in Eric Swalwell’s lane are, and who the broader opponents are within the party. “Americans need a healthcare guarantee: If you’re sick, you’ll be seen by a doctor, and if you’re seen, you’ll never go broke because of it,”Swalwell writes on his campaign website. Swalwellhas co-sponsored the DREAM Act of 2017, which would formalize legal protections for undocumented immigrants brought to the US as children who qualify for DACA. In Congress,Swalwell has cosponsored legislation to further regulate hydraulic fracturing, or “fracking,” fund clean energy research and development, ban offshore drilling in California, and protect parts of the Alaskan wilderness from drilling. He’salso co-sponsored multiple items of legislation to increase transparency in campaign finance, expand public funding of elections, bolster the Voting Rights Act, and require states to use independent commissions to draw congressional districts. He’salso co-sponsored legislation to repeal the Hyde Amendment, which prevents federal healthcare programs like Medicaid and Title X to directly fund abortion procedures, and laws to increase access to affordable contraceptive coverage for military service members. During his entire congressional career, Swalwellhas been a strong voice for equal rights. Swalwell has been open about the impact of his own student loan debt on his life. Hewants to enact interest-free federal student loans, programs that would allow employers to help pay off their employees’ loans, and introducing loan-free public college for students who do work-study and/or go into public service. Swalwell is running as the2020’s field’s gun control candidate, with his campaign mainly centered around reducing gun violence in America. Swalwell supports universal background checks, banning sales of assault weapons, and institute a federal buyback program toactively remove such weapons from their current owners. In 2015, Rep. Swalwellvoted against giving the president fast-track trade authority, which shifted the power to make international trade deal and conduct overseas commerce away from Congress to the executive. Swalwellrecently told CNBC he supports tax incentives to encourage investment in low-income communities. “I’m okay with reducing corporate taxes if you see profit sharing and equity sharing,”Swalwell told Yahoo Finance’s Rick Newman in a February interview. “Especially for small businesses, reducing the corporate tax if it’s tied to employees sharing in the benefit,” he added. Swalwellrecently told CNBC he also supports bolstering federal workforce training and development, expanding job opportunities in technology, and increasing economic mobility for low and middle-class Americans. Swalwell hasco-sponsored legislation to expand STEM education and workforce training. He’s also introduced legislation toadvance technological innovation and new testing in the medical field.